Cardi B has been the big talk in pop culture for a while now, especially in 2019, but she’s also been the talk in politics as well. Cardi B has taken a new role as using her huge, fan-based platform and educating the youth as being a political spokesperson. Now a lot of us know that Cardi B is not shy when it comes to expressing how she feels. Early in the month of January 2019, Cardi took to social media to express the situation on the government shutdown and how it is affecting American lives. “Hey y’all, I just want to remind you because it’s been a little bit over three weeks, okay!? 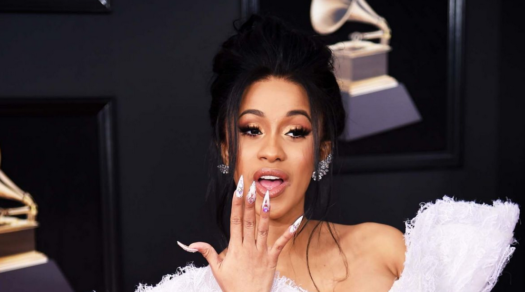 It’s been a little bit over three weeks, Trump is now ordering… federal government workers to go back to work without getting paid!,” Cardi stated in the video. Not long after, Trump supporter, Tomi Lahren, criticized Cardi for what she had to say. Photo above is a discussion about rapper, 21 Savages ICE complication. Lahren had things to say about the situation which made Cardi tweet a humorous warning towards Lahren. “Don’t make me get my leash,” Cardi tweeted. With many people all over the world having an opinion about what Cardi had to say about the situation in America, Cardi’s old history teacher had something to say about Cardi’s opinion and a message towards her haters. “I think what Cardi has to say matters. Just cause she doesn’t know much about politics doesn’t mean she can’t spread a message on her platform. It’s nice to see people support her, including her old history teacher. That’s really cool.” – Arianna, LHS. Cardi has been even more vocal about politics and has even been supporting those in trouble and speaking up about them and their situations. She has even been showing huge support about American rapper, 21 Savage.